The Frontier Village of the museum complex consists of several buildings that have been relocated from various places in or near Scott County. 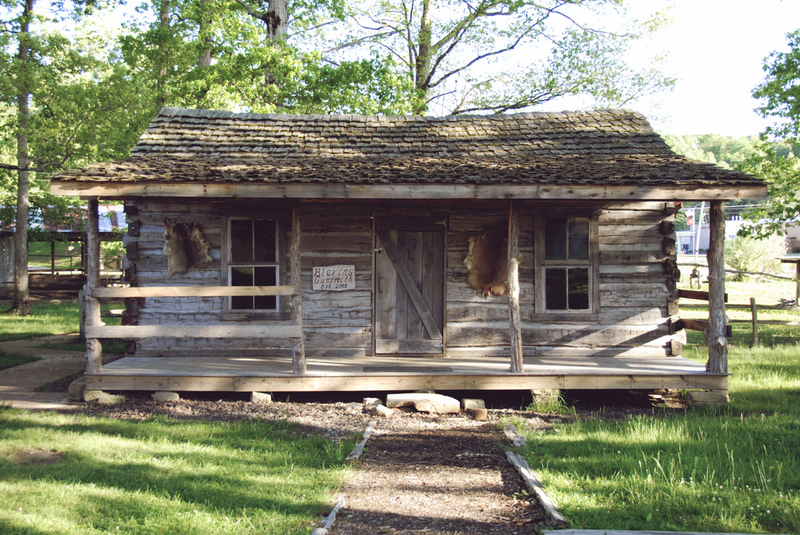 The buildings include a log cabin homestead, a log cabin rifle-smith shop, a log cabin general store, a school house, a smoke house, corn cribs and a barn. Also included is a stone building called the Root Cellar Café. The buildings were disassembled at location and reassembled at the museum. Most of these building are well over 100 years old.